A former undercover policeman has been sentenced to six and half years in prison for stealing $700,000 of the virtual currency bitcoin. Agent, Carl Force was part of the Drug Enforcement Administration (DEA) investigation into the black market website Silk Road. Silk Road allowed its users to buy and sell illicit good including drugs and weapons anonymously using Bitcoin. Force pled guilty to extortion, money laundering and obstruction of justice. Force was posing as a drug dealer with connections to hit men to establish contact with Silk Road's founder, Ross Ulbricht. His code name for the assignment was "Nob". Once he reached Ulbricht, Force sold him information about the investigation. Ulbricht is a serving life sentence for conspiracy to traffic narcotics, money laundering and computer hacking, all associated with his creation of Silk Road. The judge in the case said Force's "betrayal of public trust is quite simply breathtaking". A former Secret Service agent who was also charged pleaded guilty and will be sentenced separately in December. Bitcoin is digital currency not controlled by any government. Users can buy and sell goods using a unique code that allows users to remain anonymous, something that has made Bitcoin a popular choice for funding criminal activity. Video What is Bitcoin? 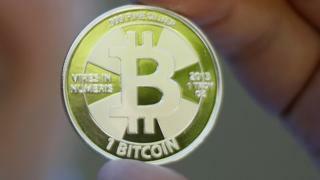 and how does virtual currency work?